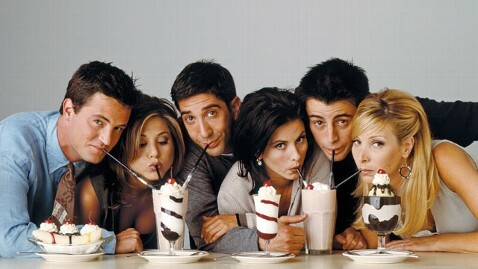 "Friends" ran on NBC for ten years, but it had a much different title as a series pilot. In the May issue of Vanity Fair, former NBC executive Karey Burke revealed the original name of the show was "Six of One." In an article titled "The Oral History of Friends" fans also learn that Courteney Cox was originally offered the Jennifer Aniston role of Rachel. Nancy McKeon, the star of NBC's "The Facts of Life," was a top contender to play Monica, the role Cox eventually filled. Series co-creator Marta Kaufman said, "We originally offered Rachel to Courteney Cox, but she said she wanted to do Monica, not Rachel." Fellow co-creator David Crane said they originally had a different vision for Monica: "When we originally wrote the role, we had Janeane Garofalo's voice in our head. Darker and edgier and snarkier, and Courteney brought a whole bunch of other colors to it. We decided that, week after week, that would be a lovelier place to go to." Recalling the casting process, Kaufman said, "We saw a countless number of actors … One of the first actors on our list was Matthew Perry to play Chandler, but he was doing a show called "LAX 2194? [a Fox pilot about baggage handlers in the year 2194], so he wasn't available. We brought other people in." Crane added, "We brought everybody in. We were so sure that Chandler would be the easiest part to cast. It's got the most joke jokes. It's sarcastic and kind of quippy, but no one could do it. No one." The pair revealed that actor Craig Bierko eventually passed, but they later learned that he had been coached by Perry. Eventually Perry was released from his Fox pilot and free to join "Friends."